Fees associated with filing trademark application in Sri Lanka as well as other trademark fees are available in the fee calculator. Multiple class trademark applications are not possible in Sri Lanka. The separate application should be filed for each class. 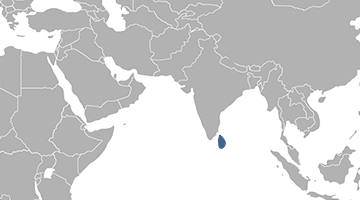 To obtain a filing date it is necessary to provide the National Intellectual Property Office of Sri Lanka with the request for the registration of the mark, applicant's details and address, five copies of a representation of the mark and list of goods or services in respect of which registration of the mark is requested. Simply signed and stamped Power of Attorney must be provided within three months from filing. The trademark in Sri Lanka may be opposed within three months from publication of the application. The trademark in Sri Lanka is valid for ten years from the date of filing. Registration of a trademark may be renewed for consecutive periods of ten years. The renewal fee shall be paid within the twelve months preceding the date of expiration. A grace period of six months shall be allowed for the payment of the fee after the date of such expiration, upon payment of a surcharge. The trademark in Sri Lanka may be subject to cancellation if it has not been used within five years from its registration. For foreign applicants, it is necessary to perform the Sri Lankan trademark prosecution through an agent, a registered trademark attorney in Sri Lanka. A word, a symbol, a device, letters, numerals, a name, surname or geographical name, a combination or arrangement of colours and shapes of goods or containers may be registered as a trademark in Sri Lanka.